areas through enhancing the market stability of innovative, environmentally and socially conscious small-scale farmers and agro-enterprises. This should contribute to the reconnection of rural areas and cities by providing urban consumers with quality, healthy, fresh food in a fully transparent way. 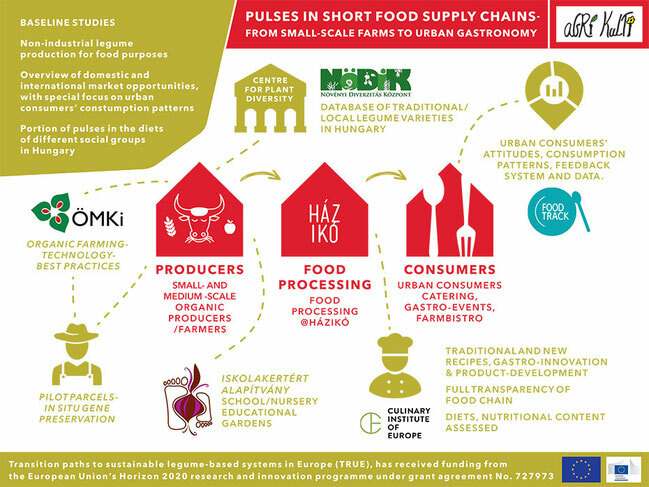 Traditional local varieties with special properties will be identified in field- and table studies and tested by mainstream chefs, gastro bloggers and consumers at various scenes of urban gastronomy from street food through catering to leading restaurants. More information: Blog post "Building a New Story of Beans" and Blog post "Visit at the Center for Plant Diversity in Hungary"